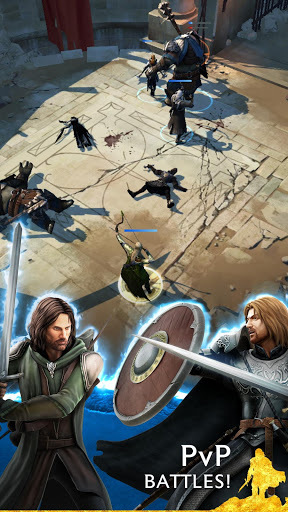 Battle across Middle-earth with millions of other players in the definitive The Lord of the Rings and Middle-earth: Shadow of War experience on mobile! 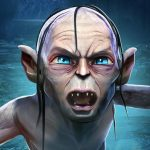 Command iconic champions like Gandalf and Gollum as you wage war against Sauron’s armies in this epic, real-time RPG. ONE DOES NOT SIMPLY WALK INTO MORDOR! 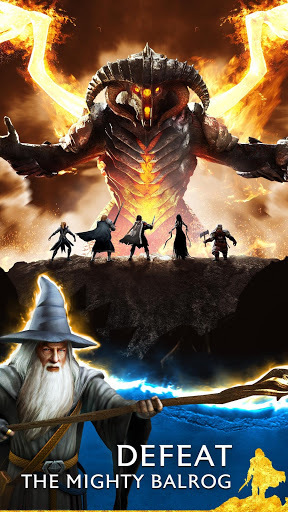 With the help of the new rings of power, summon Champions from Mordor and across Middle-earth, growing an army that will topple Sauron’s forces. Blast through enemy ambushes, duel Orcs in the fighting pits, battle with your Fellowship, and much more. -Collect, equip, and upgrade iconic champions from LOTR and Shadow of War, including Gandalf, Gollum, Legolas, Aragorn, Boromir, Ratbag, and Talion. -Battle rival Champions in real-time (synchronous 4 v 4 PvP) and slay powerful Orc armies (asynchronous PvP). -Direct your team’s combat tactics in real-time and launch powered-up special attacks when it matters most. -Dominate your Orc nemeses or accumulate a trail of dead. Each Orc you face remembers your decisions, creating a unique experience for every player with the award-winning Nemesis System. Welcome to the Fighting Pits! – Build a team consisting of a Champion and your strongest Orcs. – Control your Champion your team faces off against other players. – Compete for the top spot of the leaderboards to earn unique rewards! Will you shine as a champion, or will you grovel like a maggot?